Does Faribault Have A Chupacabra? Over the last few weeks, people in the city of Faribault have reported sightings of a canine-looking animal lurking in the area. The video footage taken by Faribault resident Anna Wagner of the unsettling beast sparked speculation as to its nature with some even suggesting it could be a chupacabra. What was shown in the video was an odd creature, it looked hairless, had large ears, and a long skinny tail. So what was it? I'm sure there are reasonable explanations for the strange animal that was burying roadkill in a residential neighborhood near District One Hospital. 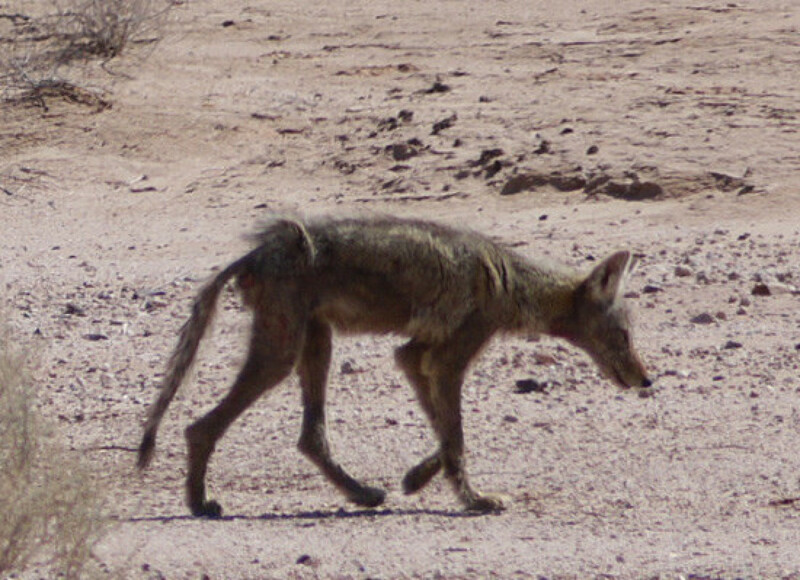 It could be a fox with mange, maybe a coyote with mange, but I'm pretty sure the answer is the mythical now seemingly real chupacabra. Doesn't this picture look like the creature in the video? Adding a somewhat eerie layer to the case, it seems that Faribault is not the only location currently that has become a hotbed of chupacabra activity. Over 700 miles away in Ohio city of Dublin, residents have also been seeing a hairless animal with an uncanny resemblance to the 'Faribault beast.' In fact, according to a post by the local government on Facebook, there are believed to be four of the creatures currently roaming somewhere in the city. And, like the animal in Faribault, these oddities have also drawn comparisons to the chupacabra. What do you think it is? Let us know on our Facebook page!